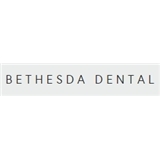 Bethesda Dental (New York) - Book Appointment Online! "A visit to the dentist should never be a stressful experience. Nothing is more important to us than your oral health and personal satisfaction." Dr Sam Lee is great, and so are his staff! It was such a pleasant experience from start to finish, and he is extremely gentle, and explains every procedure carefully, and also indicate the amount of discomfort or pain that I will be experiencing.